We are a small, independent, client orientated company. Our tree consultants work with land owners, architects, developers and more carrying out tree surveys (BS5837) and tree reports. ​We offer you a bespoke service to provide swift and effective solutions for all of your tree related issues. We are based in Kent but we serve a very large area in England. Arboricultural Consultants who provide Tree Surveys (BS5837), Tree Reports and more. Please visit our website to see more or call us for help. "I was struggling with the local planning department for two and a half years then out of nowhere they wanted a woodland management plan. 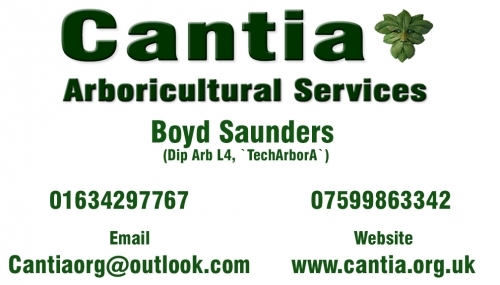 There wasn't much time, I came across Cantia Arboricultural Services through Google. Read the reviews and gave them a call, I had a long chat with Boyd who listened to my situation and seemed to understand what was required. I felt reassured after our discussion and instructed his services, within a week he attended the site (on time) and four days later the report arrived. My planning consultant was very happy with the report and its wording. I would thoroughly recommend the services of Cantia Arboricultural Services, It is refreshing to deal with a company who delivers what it promises. Thanks Boyd." "My wife and I were very pleased with the professional help and advice given by Boyd. He travelled quite a way from his base in Kent to our place in Hertfordshire as we couldn't find a local tree consultant who offered the scale and speed of service we were looking for. The trees we were concerned about are protected by a planning order so Boyd undertook to make the application for work on our behalf, and all his recommendations were accepted by our local council. We highly recommend his work."